Pick up times for this region are approximately 6:00am-11:00am the day before your Tour Departure Date. For your convenience and comfort we offer hundreds of joining points across England, Scotland and Wales. And to make sure your journey to the interchange is as direct as possible, we guarantee there will be a maximum of five stops to pick up other guests. The five pick up point guarantee starts after your main pick up point, excluding comfort stops, service areas, motorway junction points and trunk road pick up points. 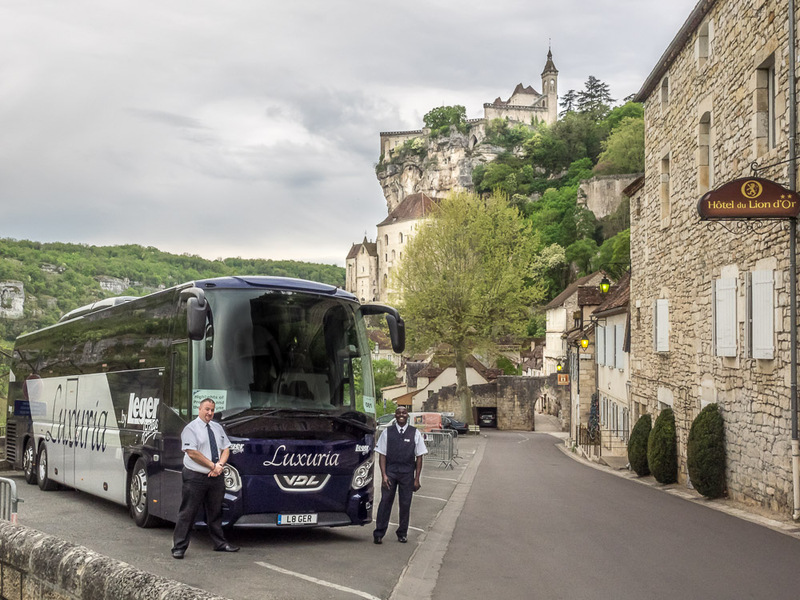 Alternatively, if you are travelling on one of our coach holidays of 7 days or more you can take advantage of our Door-to-Door service, where we pick you up from your home and take you to meet your transfer vehicle, then return you back home at the end of your holiday – from just £40 per booking. On Single Traveller holidays you don’t even have to think about getting to your local joining point. If you live within 20 miles of one of our free joining points we’ll pick you up from your home and take you to meet your transfer vehicle, then return you back home at the end of your holiday. If you live further afield you can also take advantage of this convenient option for an additional charge. Door-to-Door Service: Each door to door vehicle will carry no more than eight passengers, allowing luggage room and space and minimalising the number of additional stops before meeting the coach. Why not go the night before your holiday for a relaxing start? You can park for FREE for up to 9 days at the Holiday Inn Ashford North and enjoy an overnight stay with English breakfast from just £39.50pp. This offer is subject to availability and based on two sharing a twin/double room on a B&B basis*. We’ll then collect you from the hotel on the day of departure and return you there at the end of your holiday. To book this package, please call the hotel on 01233 713333, quoting ‘Leger Holidays’ and your booking reference. If your holiday is longer than nine days you can pay for additional days’ parking. Ask one of our reservations team for more details. Our transfer service takes you to meet your Luxuria, Silver Service or Executive tour coach and return you to your drop-off point once your holiday has finished. The transport which takes you to and from the interchange may include Executive, Silver Service or Luxuria coaches, as well as minibus or taxi. Occasionally, on shorter journeys, your transfer vehicle may not have toilets, reclining seats or drinks facilities. Our transfer service may be operated by one driver only and is designed to get you to and from your meeting and drop off point as efficiently as possible. At the interchange, our trained team takes your luggage from the transfer vehicle to your main tour coach whilst you use the refreshment areas. Then you board your tour coach and travel to Dover or Folkestone, where your coach drives onto the ferry or Eurotunnel train respectively†. On most holidays† if you’d prefer to join your tour coach at Stop 24 services, you can park your car in the car park which is accredited by the Park Mark safer parking scheme and is monitored 24 hours a day by CCTV. Payment for the parking is made on arrival using the self-service machines. Seats are allocated on your main tour coach, and for a small supplement, you can guarantee front or second row seats. If you prefer to sit a bit further back, choose our central view seats (subject to availability, please call our reservations team). Seats are not available to reserve on your transfer vehicle. For most continental holidays we use the short sea crossings from Dover to Calais or Eurotunnel from Folkestone to Calais. Our reservations staff can advise you which route applies for your preferred travel date‡. All of our Fly & Tour holidays are operated by Leger Air Holidays Ltd and are ATOL protected, giving you peace of mind as you travel. For departures from Scotland we offer a choice of transfer service. On selected dates and tours, we now offer a more leisurely transfer service from Scotland. With our Scotland Tourlink Service, you can break up your journey with an overnight stay in southern England, prior to joining your tour coach at our interchange and upon your return. With a selection of joining points throughout Scotland to choose from, enjoy a laid-back start to your holiday as we travel to the Mercure hotel in Watford, where you will enjoy an overnight stay with dinner and breakfast included. After a relaxing start to your day, we continue our journey to Stop 24 services, where you will join your tour coach and begin your holiday. Upon your return to the UK, you will also enjoy a final overnight stay in southern England with dinner and breakfast. We will commence our journey back to your original joining point in Scotland the following day, giving you a relaxing Leger Holidays experience. Door-to-Door service is also available on Scotland Tourlink. Alternatively, you can travel on any tour on any departure date from Edinburgh or Glasgow via National Express or Megabus to London, where you will join your transfer coach to the interchange, then connect to your tour. This service is available at a supplement of £50pp. *Single supplements and terms and conditions apply. †Excludes holidays to Ireland and the UK and tours travelling via Brittany Ferries. ‡Channel crossings are subject to change, you will be advised with your travel documents.